Offering cold brew coffee to expand the range of beverage options is a smart move for convenience store retailers. Consumers order an average of 3.6 beverages away from home each week, according to Technomic’s recent Beverage report, and 38% reported purchasing more scratch-made cold/iced/blended coffee. A full 10% of coffee drinkers reported drinking cold brew daily last year, according to the 2018 National Coffee Drinking Trends report from the National Coffee Association. This may not seem like a high number, but considering cold brew has only become mainstream in the last few years, its growth in popularity is significant. Cold brew is hot because customers love its rich, smooth flavor and low acidity. And aficionados drink cold brew all day and all year, creating big opportunity for retailers. 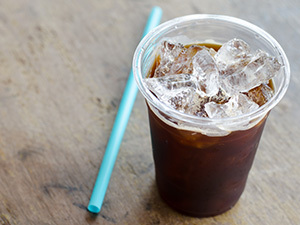 Cold brew is not the same as iced coffee, which is just hot brewed coffee over ice. Rather, it is coffee made via an entirely different brewing method—coffee grounds are soaked in cold water for a length of time (variable from one maker to the next), resulting in a smooth, rich taste. However, it is this brewing method that can pose food safety challenges for operators looking to brew their own in-store. The FDA regards hot coffee as generally low-risk and safe, because it is brewed with near-boiling water and has short brewing and holding times. Conversely, cold brew uses using cool or ambient temperature water for extended extraction times—as long as 12 to 24 hours. That extremely long brewing time combined with cold brew’s low acidity can allow the growth of yeast, mold and bacteria. Once a product is contaminated, microbe populations can double in size every 20 minutes. That means a higher risk of product spoilage and even illness from consuming contaminated product. Thankfully, these safety risks are avoidable. Fortunately, producing cold brew that is safe is easy—just take a few precautionary steps during production. First, follow the same HACCP standards as with food handling. The overall production environment should be clean and sanitary. Personnel should wash their hands frequently or wear gloves. Watch out for cross-contamination with utensils from other kitchen tasks. The equipment used to produce cold brew should be scrupulously clean. It is best to employ specialized equipment that has been designed for cool brewing. Stainless steel brewing vats are easier to sanitize than most plastic, which can harbor bacteria in seams and scratches. Pay special attention to dispensing taps, which should be thoroughly flushed out. Because cold brew is mostly water, start with good tasting, potable water for the process. If in doubt, have the water tested. Coffee beans should be high quality, fresh and free from any debris or contaminants. Freshly ground offers the best flavor. Also consider quality and safety when using any added ingredients, such as sugar, sweeteners, flavorings or various kinds of milks. While some cold brew methods call for using ambient temperature water, that’s a high-risk scenario. The “danger zone” is temperatures between 40° and 140° Fahrenheit for periods longer than two hours, according to the FDA. Use colder water and maintain the cold brew under refrigeration below 40° throughout the entire brewing process. Keep the cold brew cold during dispensing as well. Don’t let it sit out on a counter. If you choose to bottle your cold brew for sale, be sure to wash and sterilize the containers and caps. Maintain those packages at cold temperatures in a reach-in or ice bucket. And be sure to rotate stock according to FIFO. Follow all these simple steps, and cold brew should be flying out the door.